Looking for a local dealer or World Wide distributor? 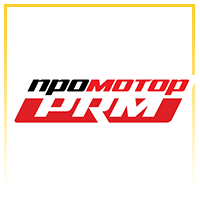 ProX Racing Parts has a World Wide network of distributors in more than 70 countries. From Norway to Tahiti and from Brasil to Japan. Find your national distributor below, they are able to inform you about the nearest dealer. If you have any question or feedback for us, please feel free to send your question or feedback by clicking here. Want to become an official ProX Racing Parts Distributor? If you would like to become a distributor, please fill out our official distributor application form. For some countries and regions we are happy to welcome new distributors! We are looking for distributors. Want to become an official ProX Racing Parts Distributor, please fill out our official distributor application form. For Hong Kong we are happy to welcome new distributors! We are looking for distributors. Want to become an official ProX Racing Parts Distributor, please fill out our official distributor application form. For India we are happy to welcome new distributors! We are looking for distributors. Want to become an official ProX Racing Parts Distributor, please fill out our official distributor application form. For Lithuania we are happy to welcome new distributors! We are looking for distributors. Want to become an official ProX Racing Parts Distributor, please fill out our official distributor application form. For Singapore we are happy to welcome new distributors! We are looking for distributors. Want to become an official ProX Racing Parts Distributor, please fill out our official distributor application form. For Taiwan we are happy to welcome new distributors! We are looking for distributors. Want to become an official ProX Racing Parts Distributor, please fill out our official distributor application form. For Vietnam we are happy to welcome new distributors! We are looking for distributors. Want to become an official ProX Racing Parts Distributor, please fill out our official distributor application form. For French Polynesia we are happy to welcome new distributors! We are looking for distributors. Want to become an official ProX Racing Parts Distributor, please fill out our official distributor application form. For Gambia we are happy to welcome new distributors! We are looking for distributors. Want to become an official ProX Racing Parts Distributor, please fill out our official distributor application form. For Kenya we are happy to welcome new distributors! We are looking for distributors. Want to become an official ProX Racing Parts Distributor, please fill out our official distributor application form. For Mauritius we are happy to welcome new distributors! We are looking for distributors. Want to become an official ProX Racing Parts Distributor, please fill out our official distributor application form. For Namibia we are happy to welcome new distributors! We are looking for distributors. Want to become an official ProX Racing Parts Distributor, please fill out our official distributor application form. For Tunesia we are happy to welcome new distributors! We are looking for distributors. Want to become an official ProX Racing Parts Distributor, please fill out our official distributor application form. For Paraguay we are happy to welcome new distributors! We are looking for distributors. Want to become an official ProX Racing Parts Distributor, please fill out our official distributor application form. For Peru we are happy to welcome new distributors! Regulo Quinones Rexmoto Import C.A. We are looking for distributors. Want to become an official ProX Racing Parts Distributor, please fill out our official distributor application form. For Albania we are happy to welcome new distributors! We are looking for distributors. Want to become an official ProX Racing Parts Distributor, please fill out our official distributor application form. For Macedonia we are happy to welcome new distributors! We are looking for distributors. Want to become an official ProX Racing Parts Distributor, please fill out our official distributor application form. For Malta we are happy to welcome new distributors!